and sometime worked along side forces from A-camps and Mike Force. South Vietnam was divided in provinces which had a Province Headquarters with a Province Senior Advisor (PSA). The PSA, a Colonel, was responsible for the advisory districts within the province. Each advisory district had a District Headquarters with a District Senior Advisor (DSA). The DSA, a Major, was responsible for the MATs within the district. MATs ideally consisted of one Captain team leader, one 1st Lieutenant assistant team leader, one Sergeant First Class (SFC) heavy weapons specialist, one SFC light weapons specialist, and one SFC senior medic, so a total of five men, but from 1970 onwards it was not unusual to find team of three due to cut back in the advisor deployments . Each MATs lived at a “home outpost” with the South Vietnamese soldiers it was advising, and it usually operated by itself, not with other MATs. I read with interest your experience with MAT Team 27. I was on the 1st MAT teams assigned in VN in 1968. I was on MAT 2 assigned to the Tamky District in Quan-Tin Province, I-Corps. We were organized at Xi-AN (1st Inf. Div. 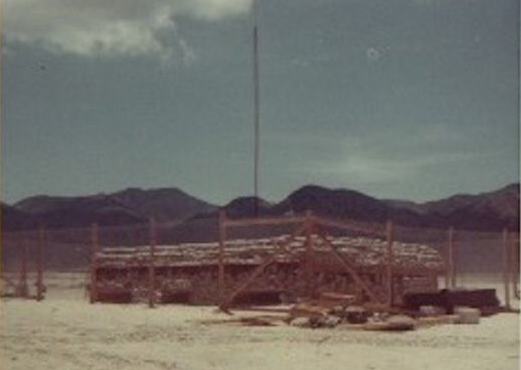 base camp @ 3 Corps) for a 2 week indoctrination and then sent to our respective AO's. We had the pleasure of serving with the Rough-Puffs, living with them, and convincing them to conduct night ops. I was the Lt. Wpns. guru for the team. the Tet offensive past us by for 5 Days however Feb 1967 brought daily operations and contact with retreating Communist TET battalions escape and evading to their Cambodian retreats. the Battalion led by Major Hue Commander of the LInd Doi Bac Battalion was a great reliable fighting unit and put a daily hurt on infiltrators.,operations . We trained the very first Tiger Platoon, re-equipped with Black Market weapons and gear . We found being on the lowest rungs of re-supply we needed to apply special tactics in securing needed ammo and modern weapons , my team operated a communist flag stichery and belt buckle shop in the Village of Lap Vo. We traded the bogus war artifacts to unsuspecting Air Force and non combat support troops personal and from American unit supplies across Viet Nam, As a result of weapns upgrades so that our first major operations post Tet, we destroyed a VC/NVA unit with only a hand full of our tigers being wounded after being ambushed in My An Hung Village, Lap Vo District. We killed 35 enemy and captured 15 , captured 10 tons of rice tax, and a large store of weapons and ammo. by the time we rotated in late 68, we had almost ended Communist war activities in Sedec Prov. Since fighting along side Vietnamese was little reported we never received the recognition for our many battle successful operations. that we would have fighting with American forces. But I can report that Capt Pat Powers, SFC Roy Vaughn SFC Walter Smith and SFC Simmons our team and,our Tigers (this model we created later became standard in many American units and between Feb. 68 and July 1968 Our Battalion of Ruff/ Puffs had destroyed more of the enemy in that post Tet time period of 6 months that the whole of our Brigade did in the same period in the Highlands. Anyhow Our Mat 17 team aided by Air force FAC Bart 95 out of Can Tho and many spooky and air strikes, gunships both Army and Navy and some great FO work by the 21st Div Arvn Artillery called by our team and my great best friend, ARVN FO, Lt. So ,allowing our team to survive basically unscratched. So glad this blog is highlighting our MAT Teams and beginning to share those war stories. Some American troops called them “Ruff-Puffs” and laughed at them. We called them our brothers and lived and fought alongside them every day in South Vietnam. By the end of my year as a Mobile Advisory Team (MAT) leader I admired all of them. This is the story of one MAT team (5 American Army advisors) in one of the 244 Districts in South Vietnam and about our great counterpart - the District Chief . In 1969, the first year the 200-plus MAT teams were deployed in Vietnam, legend says half of their outposts were overrun -- wiped out. Fortunately our team survived -- somehow. This story is dedicated to those who never made it back to "The World". The “Vietnamization” program was a general mobilization of 500,000 local defense forces called Regional Forces (RF) and Popular Forces (PF). -- thus the nickname “Ruff Puff”. This new militia’s mission was village and hamlet security -- and they started with nothing. 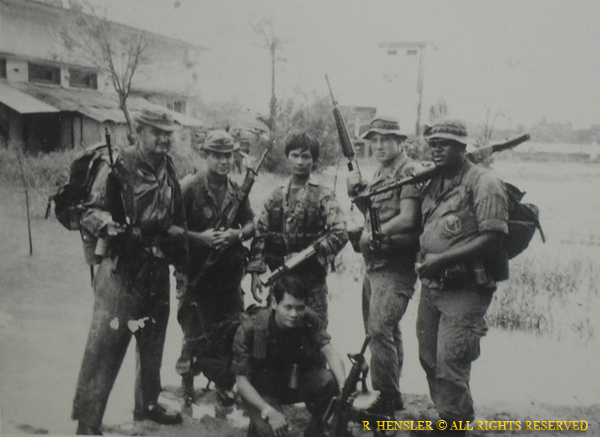 We helped them get uniforms and new M-16 rifles and other weapons, trained them and then helped them fight against local Viet Cong and even North Vietnamese Army troops in our small coastal District. So we looked at this as our homeland and used all the American artillery, air strikes, helicopters and whatever other resources we could scrounge to help our brothers protect their villages, families, schools , rice paddies, bridges and homes - and to win the war at the local level. Find out why we who served know that the "advisory" role that our troops are undertaking in Iraq and Afghanistan is really a full-fledged combat mission. Don't let anybody tell you different! Copyright ©1997-2019 Gia Vuc Tribute website. All rights reserved .